Is it a woman challenge to mix family duties with leadership? Most of women could have a confusion to understand how these two things are possible: family duties for women and handling other assignments as a woman-leader, but both are viable according to the young woman Virginie Akimanizanye, a parliamentary candidate currently seeking for a seat in Rwanda’s parliament. “There is no challenge to enter in leadership as a woman because everyone should take it as a common responsibility for both gender. The most important is to take it as a serious as possible and as duty,” Says. Akimanizanye , a member of Liberal party (PL) since a long time ago. 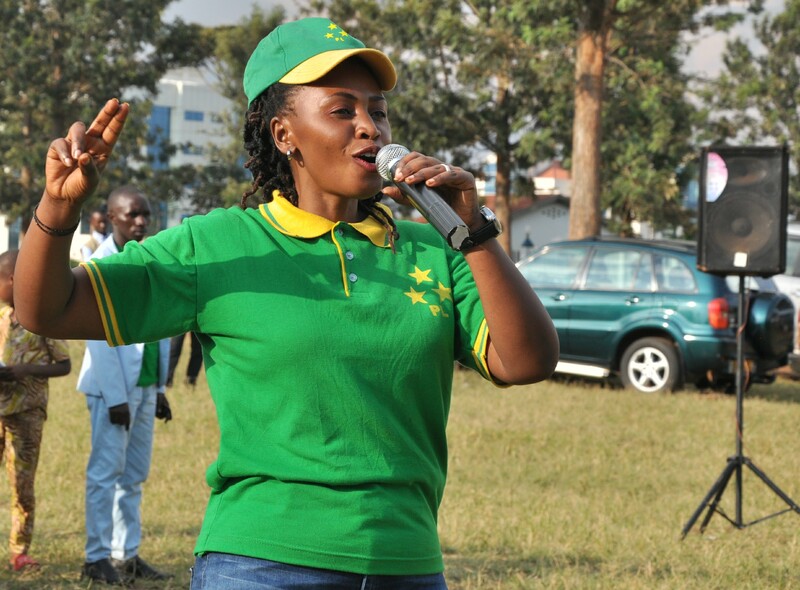 She is representing and raising her voice for youth and is campaigning to join Rwanda’s parliament for the second time as an MP; i.e, Member of Parliament. She says being in parliament as a women politician cannot prevent her to exercise her current home activities noting that one should make sure that none of these responsibilities is a barrier to another. She says that there should not be any barrier to hinder a women exercise her duties as a leader because gender and equality principle has opened the sky for both a woman and a man to play same roles as leaders at the same time exercising their family duties. Akimanizanye is very motivated to join Rwanda’s parliament,“I know responsibilities of MPs including voting laws, monitoring and evaluating implementation of government programmes, after understanding all of these responsibilities, I was motivated to give my contribution being a member of parliament,” she says. As she is representing currently youth in Liberal Party, Akimanizanye says she will strengthen advocacy for youth development as their party wins elections. She is among the 80 parliamentary candidates from PL and has been a member of party as a woman politician since a couple of years ago.